Saga was founded in 1951 in the seaside town of Folkestone by Sidney de Haan. 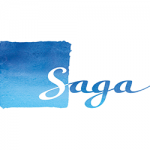 Saga began life as a small hotel offering affordable off-peak holidays exclusively to retired people. Saga grew rapidly and by the 1960’s it had added many other UK destinations as well as becoming a pioneer in the Algrave tourism industry. By the 1970’s Saga had expanded into Spain, Romania and Yugoslavia and was now the UK’s largest rail customer by offering chartered trains around the country. In the 1980’s Saga began offering insurance and finacial services specifically designed to their customers. They also began operating Saga cruises and during the 1990’s began operating their own ship, the Saga Rose. It was during this period when Saga lowered the age restriction for customers from 60 to 50. During the 2000’s and backed by private equity firm Charterhouse, Saga was partially bought by its staff (20%). At the same time it was merged with the AA for form Acrosmas Holdings which is now approx 20% owned by staff, 35% Charterhouse, 20% Permira, 20% CVC and 5% others. 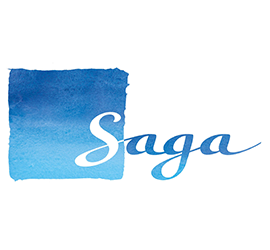 On Friday, May 23 2014, the Saga Group was successfully floated on the London Stock Exchange as a Public Company, and therefore changed its name to Saga PLC. Saga continue to offer a wide range of insurance products including car, home, travel, caravan, van, pet, private medical, life insurance, motorhome and legal services. Saga car insurance is specifically designed for drivers aged 50 or over with comprehensive cover starting from just £117. If you choose to pay annually then this can be reduced even further. Saga offer up to 70% no claims bonus and with a comprehensive policy you can also benefit from uninsured driver cover, £1,000 personal belongings cover, vandalism cover and glass cover as standard. If you need to make a claim due to vandalism or being hit by an uninsured driver, this means your no claims bonus will not be affected and you will also have your excess refunded. Should you become stranded following an accident, you can also claims up to £500 to cover the cost of getting home or hotel expenses. Your also guaranteed a replacement car for 14 days while your vehicle is being repaired in on of Saga approved garages. You will also recieve unlimited cover for any visual/audio devices that are permanently fitted. On top of this there is unlimited EU cover meaning you can drive your car in the EU for an unlimited period of time. If your car is less than two years old, you also receive new for old cover. Finally for every other car you insure at the same adddress you will receive a 5% discount.